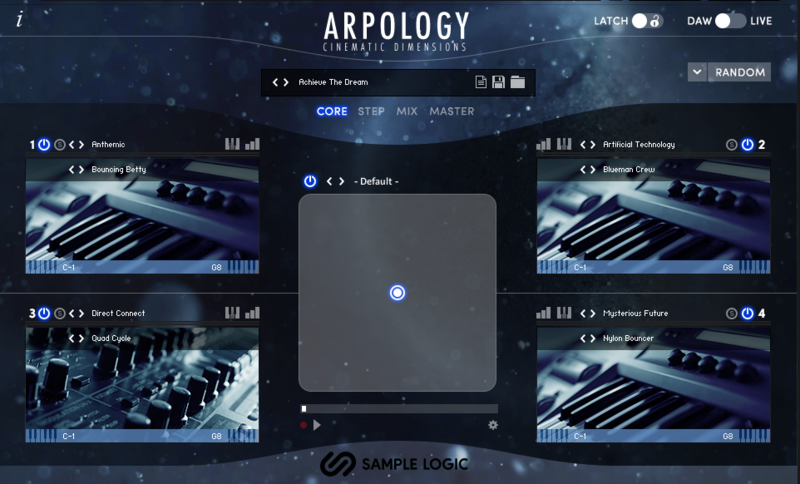 The new release of Arpology from Sample Logic is nothing less than stunning in its comprehensive approach to step sequencing. Dozens of parameters are accessible to the newly revamped, multi-layered sequencing engine. It boasts over 23 GBs of sample content and 1200 presets that are organized in a user-friendly meta-tag browsing system. The Randomizing function is configurable so you can pick and choose which parameters to randomize. This is great for rolling the dice to find completely unexpected sounds or to introduce slight variations and create interest in a repetitive line or a morphed version of a returning pattern. 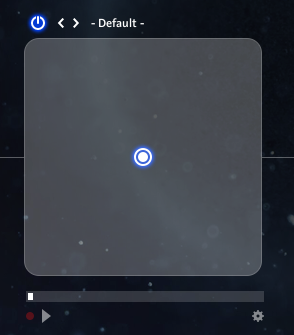 Centered in the Main interface is a programmable X-Y pad in which a puck can be moved to change the mix between the four possible sources or what Sample Logic calls Sound Cores. Movements of the puck can be easily recorded, programmed and replayed as part of a preset. There is a list of pre-programmed movements available from the drop-down menu. 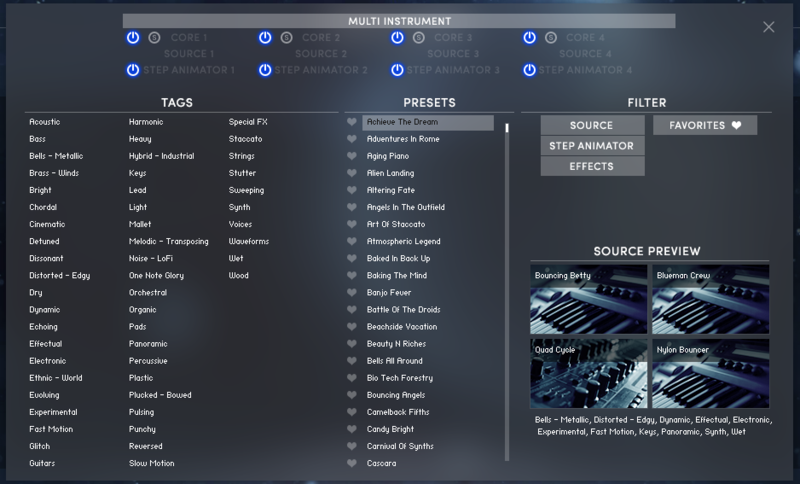 There is definitely no shortage of presets in Arpology affecting not just sound sources, but most step and effects parameters as well. 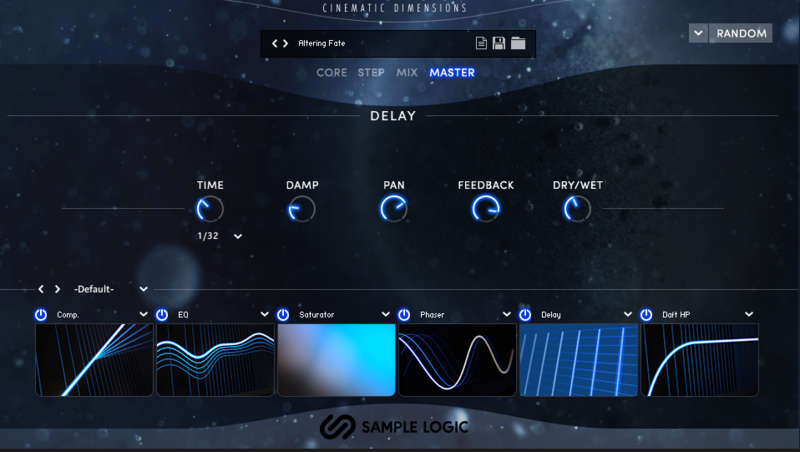 This makes it really easy and fast to test out rhythmic ideas and processing variations — especially in the Effects section, where effects can be active or bypassed on a particular step as well as having the parameters for the effect sequenced. A convenient Copy/Paste located in the Step Window allows you to copy the settings you create from Core to Core. With the almost two dozen Effects and with the possibility of step sequencing each parameter there are infinite possibilities. There 20 presets for the Effect section as a whole and preset patterns for the parameter step sequencer. As one would expect, you can vary the length in steps for each sequencer independently and the main sequence for each Core is capable of a whopping 128 steps using eight separate screen views for programming. The Master window includes six possible effect slots and another selection of preconfigured effects chains via the drop-down menu. 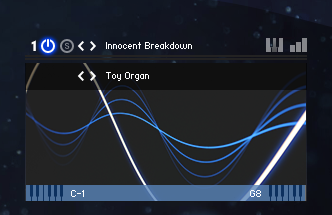 Another nice feature located inconspicuously in the lower right-hand corner of each individual Core’s Step view is the MIDI Drag and Drop icon. MIDI Drag and Drop allows you to “Click and drag from this icon into a MIDI track in your DAW to use the sequence as a MIDI effect. Your MIDI track will show 1 full sequence of Arpology control. All parameters will be reflected, excluding pan and glide functions, as MIDI data to be used with any MIDI compatible instrument”. This can be exceedingly useful if you want to double a sequence with another instrument in your DAW. 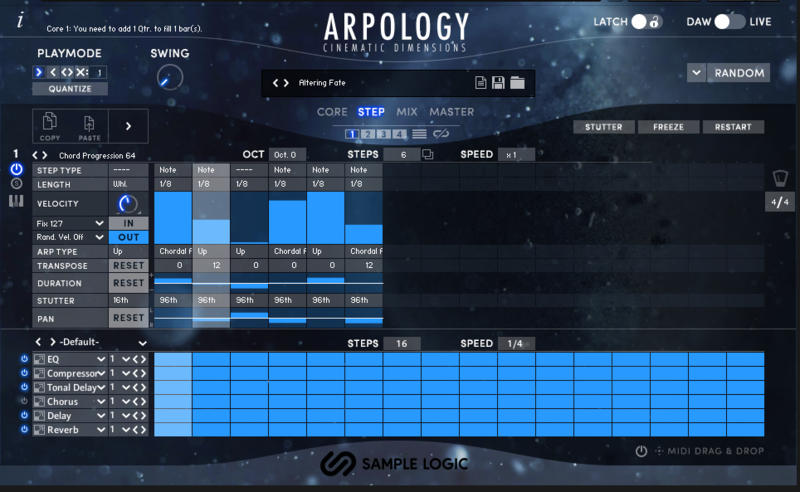 Arpology is arguably The Mother of all Sequencers and yet another great instrument from Sample Logic. I found myself experimenting with this thing for hours, toying with the vast array of global and parameter-based presets, trying varying degrees of parameter-specific randomization and browsing the catalog of rich sample content. This device is capable of everything from tight melodic grooves to complex poly-rhythms that evolve in lovely and organic ways. A beautiful piece of software! 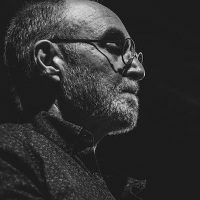 Arpology requires the full version of Kontakt 5.8 or higher and is currently offered at an introductory retail price of $349. 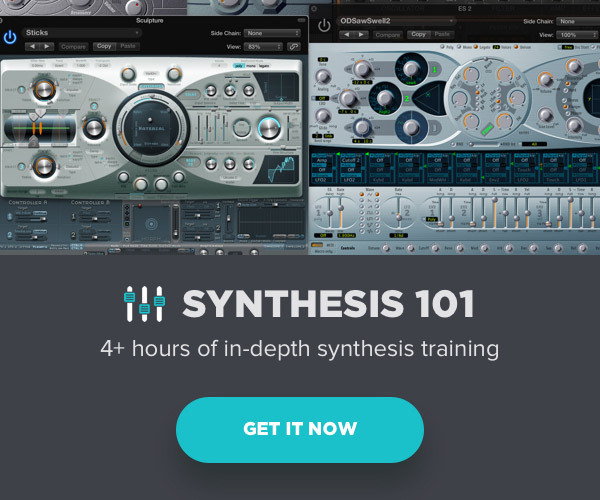 Check out my other articles, reviews, interviews and my video tutorial series, Synthesis 101 available exclusively on The Pro Audio Files.